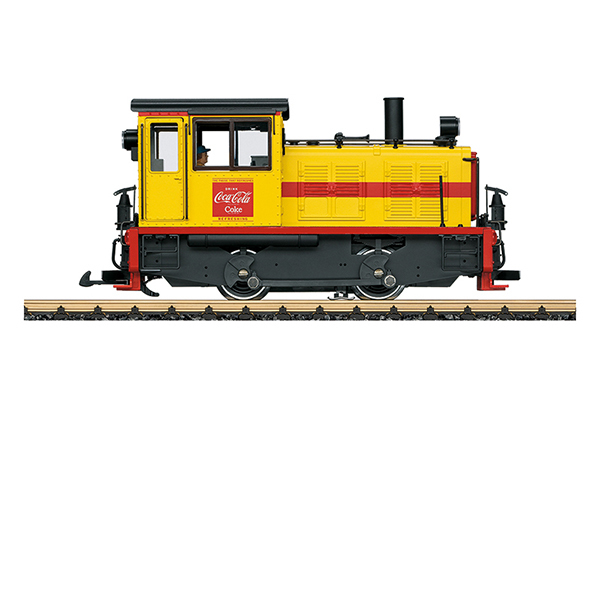 Product: This is a model of small American diesel locomotive as is typically used as a switch engine. 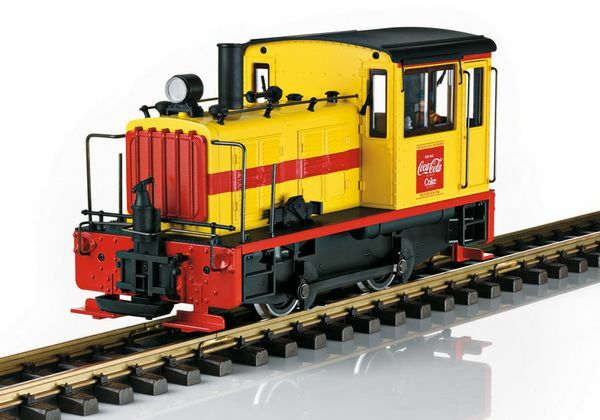 It is painted for Coca-Cola® in Era III. Both of the wheel sets are driven by a powerful Bühler motor with ball bearings. 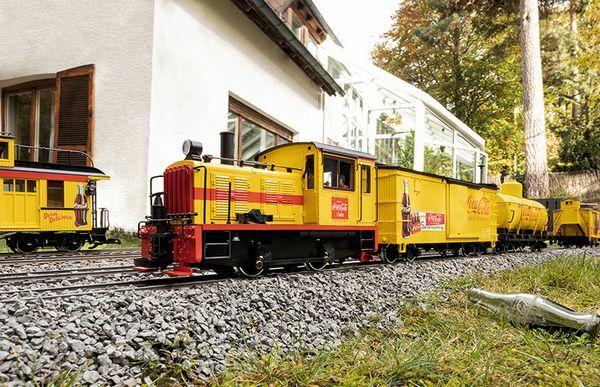 The locomotive has an interface connector and headlights that change over with the direction of travel. The doors can be opened. Length over the couplers 31 cm / 12-3/16". Suitable motive power for the 40672, 40757, and 40810 cars.